Bohemian Paradise (Czech: Český ráj) is a Protected Area. 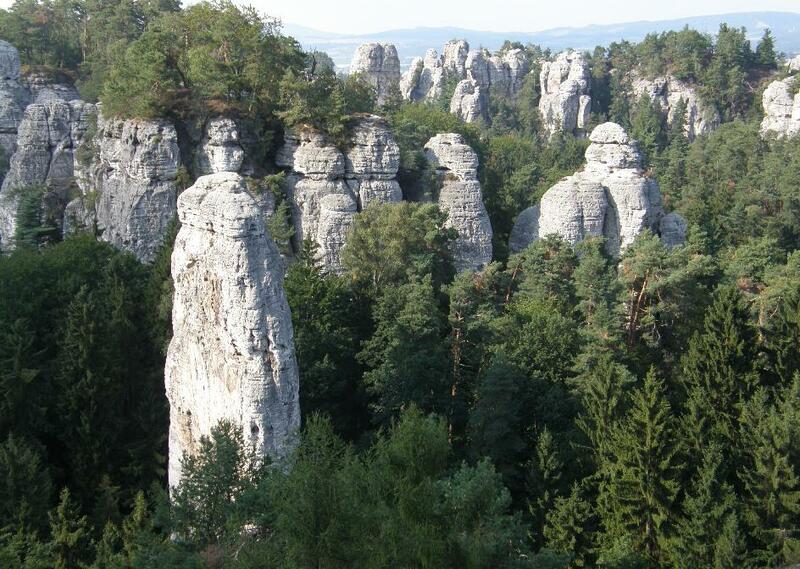 It was declared in 1955 as the first nature reserve in the Czech Republic. At first it was 95 square kilometres in area; today it is almost 182. This area is in the north of Bohemia and north-eastward from the capital city Prague. Borders of this district are not given, but there are some towns which could demarcate rough borders, for example, Turnov, Jičín and Mnichovo Hradiště. This piece of land is popular thanks to a beautiful and varied countryside. There are a lot of places which should be seen. People can go for a walk and admire many natural beauties; they can drive to many castles, chateaus, ruins, museums, and other sights. I don’t get how this is unusual ??????? The best way how to visite Bohemian Paradise Geopark is with a local tour guide. One of the company is Prague Active. They show you hidden places you wouldn´t find yourself.